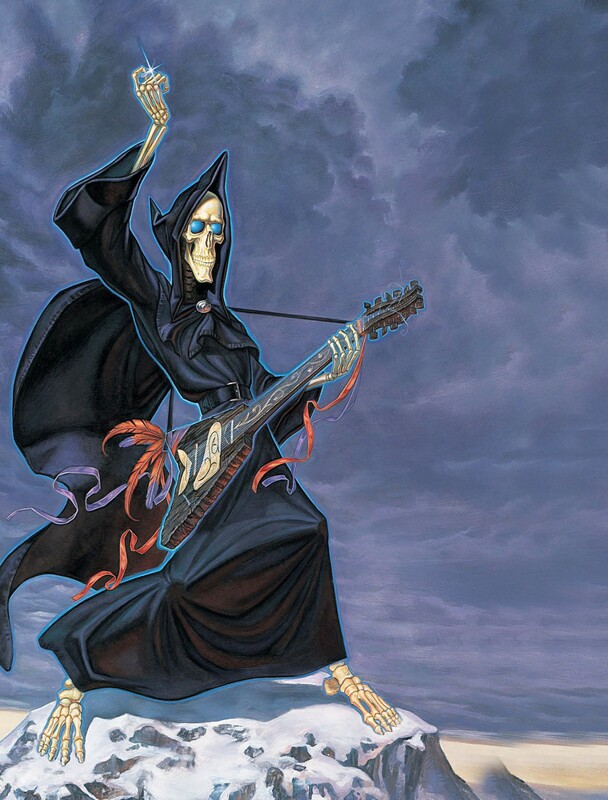 ■ In Sir Terry Pratchett’s novels, Death is a character – and he can shred. It seems to be a rule that if you build an interesting enough world, eventually people will want to roleplay in it. This is doubly true when it involves the chance to meet an elf or battle a dragon, and there can be few fantasy settings as popular as Sir Terry Pratchett’s Discworld. While the comic fantasy series first found its footing as a straight parody of sub-Tolkien sword and sorcery titles, it gradually grew in scope and scale. As the books progressed they began to encompass murder mysteries, rifts on Shakespeare and dramas set around banks and post offces. To date the series has sold an absolutely staggering 85 million copies across the world and includes more than 50 novels, spin-offs and supplements. Among these is the Discworld Roleplaying Game, originally published by Steve Jackson Games in 1998 as GURPS Discworld. The title received a sequel, GURPS Discworld Also, in 2001 before dropping the underlying RPG engine’s label (it stands for Generic Universal Roleplaying System, if you’re curious) with its reprint the following year. 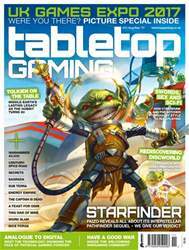 A long-awaited second edition of the game, accommodating content from dozens of new books, hit the shelves late last year. But with so much going on in the series – not to mention the sheer volume of printed material out there – how on earth would anybody find a way to set an RPG on the Disc?